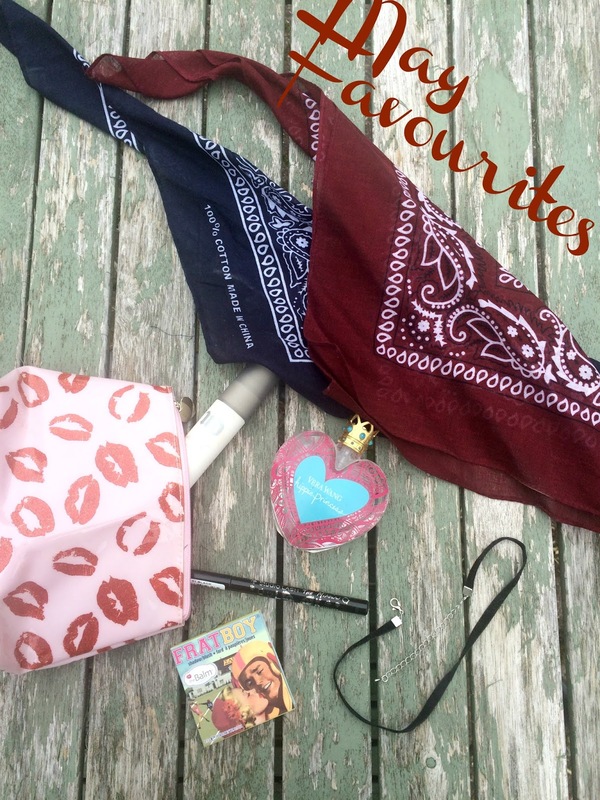 It's that time again, Favourite's time this time I thought I would mix it up and share a mixture of fashion and beauty items I have been enjoying this month. Starting with fashion if you follow me on Instagram, (which you totally should) you will of seen that I have been attempting to look cool and bloggerish by wearing either a choker or neckerchief on quite the regular basis, not sure if I carry it off but I like it so I'm sticking with it! Next up beauty, the first of my fav's is an old love reignited in the form of Vera Wang's Hippy Princess, I bought this back last Summer and its just a perfect fresh n fruity summer scent which I am enjoying wearing again. lastly on to makeup products a new addition to my collection is the Urban decay de - slick setting spray this is an item I will 100% be repurchasing as this little beauty is a total game changer it keeps my makeup in place all day without the dreaded afternoon shiny face, defo worth a try ladies if you haven't already. At the same time I bought the setting spray I also ordered The balms Frat boy blush, I already own a few the balm products that I think are amazing so was excited to add this pretty blush to my makeup stash, I have used it literally everyday since I bought it. You may know I am pretty rubbish at eyeliner as I have mentioned this a few times but since trying the Miss Sporty Miaoww eyeliner on the recommendation of my friend Hayley from Haysparkle.com I am improving, and slowly getting to grips with winging out my eyeliner. So there you have it my May favourite's I hope you enjoyed this post, let me know if you enjoy using or wearing any of these bits.